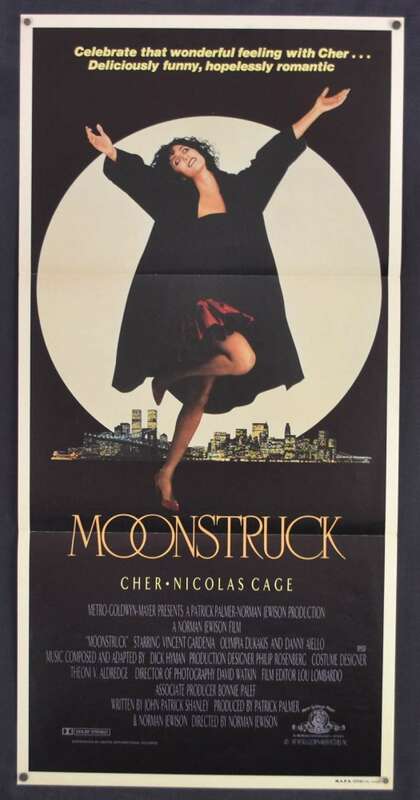 Moonstruck is a 1987 American romantic comedy film directed by Norman Jewison and written by John Patrick Shanley. 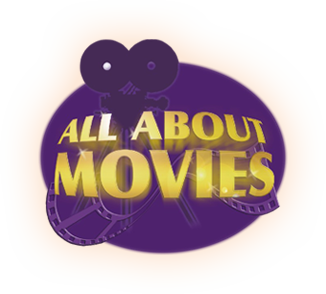 It is about a widowed, 37-year-old, Italian-American woman (Cher) who falls in love with her fiancé's (Danny Aiello) estranged, hot-tempered younger brother (Nicolas Cage). Vincent Gardenia and Olympia Dukakis play supporting roles. The film was released on December 16, 1987 in New York City, and then nationally on January 15, 1988. Receiving largely positive reviews from critics, it went on to gross $80 million at the North American box office, making it the fifth highest-grossing film of that year in North America. 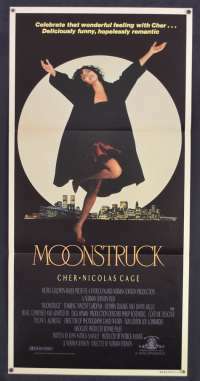 Moonstruck was nominated for six Oscars at the 60th Academy Awards, winning for Best Original Screenplay, Best Actress, and Best Supporting Actress.